What is the CIO role in digital transformation? 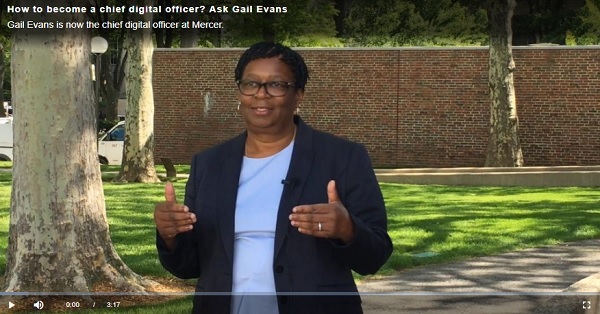 For Gail Evans, who, until June 20, was the global CIO at consulting firm Mercer, the role was two-pronged: optimize the consulting firm's core legacy systems and lead digital transformation efforts. In this video appearance at the 2018 MIT Sloan CIO Symposium in May, it's clear Evans wouldn't have had it any other way. Earlier this month, however, the firm saw otherwise, promoting her to the global chief digital officer role.